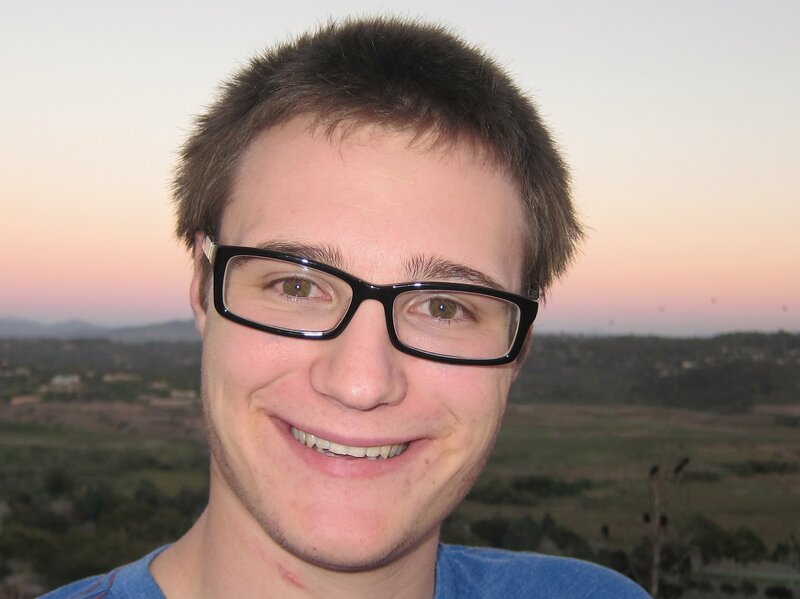 We are still raising money for Spencer Fox to pay uninsured medical expenses associated with a catastrophic spinal cord injury, including rehabilitation and medical devices to support him in attending college. 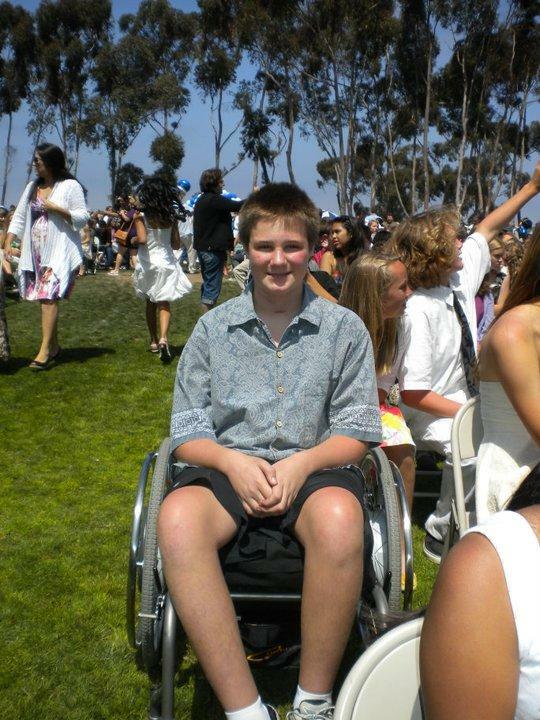 Spencer was thirteen when his life changed forever as the result of an accident. Before the accident, he enjoyed bodysurfing, playing basketball and snowboarding. He especially loved the freedom of riding his bike with his friends, the wind flying in his hair. On February 1, 2010, Spencer’s life changed in a split second. 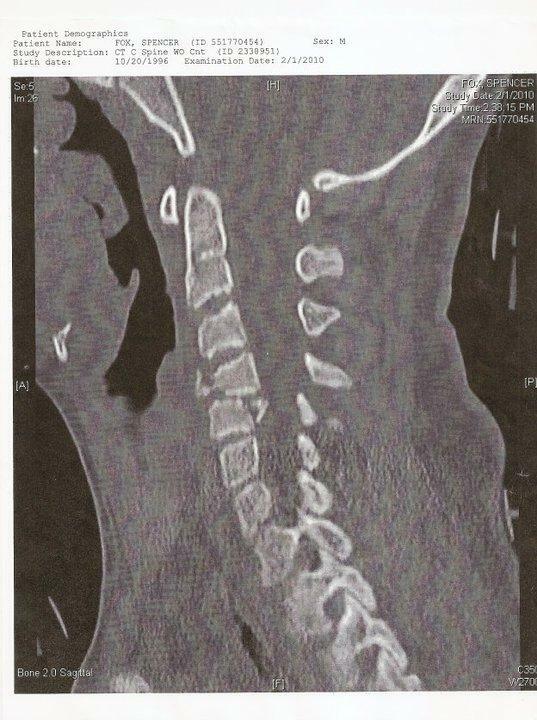 He crashed his snowboard and shattered his C4/C5 vertebrae, sustaining a severe and paralyzing spinal cord injury. Unable to breathe, move or feel anything below chest level, Spencer remained hospitalized for over three months. 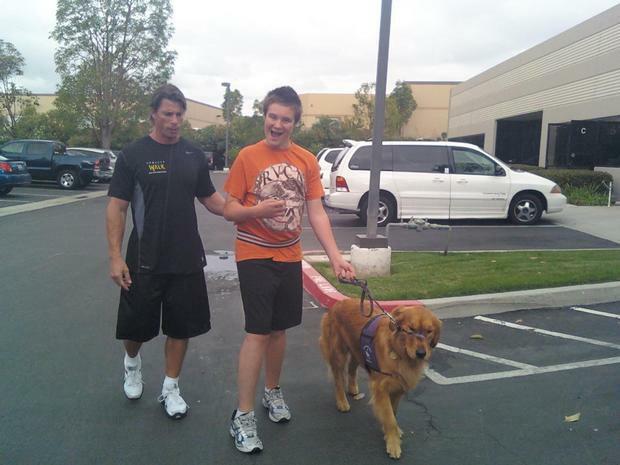 Despite his paralysis and the doctors’ grim prognosis, Spencer never gave up. For four years during high school Spencer had six rehabilitation sessions a week, four for his body and two for his hands. Spencer made amazing progress. He now has sensation and movement in almost every part of his body. He can push his own wheelchair (with power assist wheels), write with his left hand, stand, and take unassisted steps. He drives a specially adapted car. Even better, thanks to the Swim With Mike Scholarship Fund for Physically Challenged Athletes, he now has a B.S. in chemical engineering from USC and is continuing to work on a masters degree in materials engineering. He continues with at least two rehabilitation sessions a week during the school year in order to maintain his mobility and independence and also continues to incur uninsured medical equipment costs. Spencer has demonstrated courage and an exemplary work ethic in his recovery. He also has a great sense of humor. Spencer’s continues to have high uninsured medical costs for rehabilitation and medical equipment during college, estimated to be $15,000 per year over and above college costs not covered by his scholarship. We deeply appreciate your gift to Spencer’s HelpHOPELive patient campaign. You will receive a tax deduction while directly impacting the life of a deserving young man with medical and financial needs. HelpHOPELive provides both tax deductibility and fiscal accountability to contributors. Contributors can be sure that funds contributed will be used only to pay Spencer’s medically-related expenses. Please also consider signing up to make a monthly donation on this web site. For more information, please contact HelpHOPELive at 800-642-8399. February 1, 2014 marks four years since Spencer’s injury. This CaringBridge entry titled Four Years and a Miracle Later captures where he was and where he is now. The resulting attitude is gratitude! This is proof that help helps! From a diagnosis of ventilator dependent quadriplegic to confident and college bound young man…we are so grateful for your support. Spencer's Hospital Stay - 109 Days! Spencer, I have been mostly wheelchair bound for four months with a series of falls, broken bones, casts and surgery. You are my inspiration. I so look forward to hearing of your college experiences! So exciting! I want to meet you, and your sister. I've known Celia, and Jake, as ***teenagers since 1970's...James 'Kimo' Lischer, Retired Del Mar City beach/ocean lifeguard, living on D street, Encinitas. Our wishes for a continued successfull recovery. Thank you for a fun party! Spencer, The best to you and your family. Remember, always keep moving forward. We are friends of your mom. Dear Spencer, Here's to your speedy recovery. We are friends of Tamara & Sage and will stay posted on your continuous progress.